Department of Pharmaceutical Chemistry, JSS College of Pharmacy, JSS Academy of Higher Education and Research, Mysuru - 570015, Karnataka, India. ABSTRACT: The study aims to develop an analytical method for the simultaneous estimation of Teneligliptin and Metformin using RP-UFLC. A simple, sensitive and accurate method was developed for Teneligliptin and Metformin using the chromatographic conditions of C18 Phenomenex Kinetex (250 mm × 4.6 mm i.e., 5 μm particle size) column in gradient elution mode with the mobile phase consisting of methanol, acetonitrile and potassium dihydrogen orthophosphate adjusted to pH 4.6 using orthophosphoric acid (40:20:40) with a flow rate of 1.0 mL/min, injection volume 10 µl and the eluent was detected at 250 nm using PDA and UV detector. The retention time of Teneligliptin and Metformin were found to be 5.2 min and 2.5 min respectively. The above method was validated concerning system suitability, linearity, precision, limit of detection (LOD) and limit of quantification (LOQ), accuracy (recovery) and robustness according to ICH guidelines. The linearity of the above methods was found to be 2-10 µg/mL for Teneligliptin and 25-125 µg/mL for Metformin. Hence, these methods can be used for routine analysis in quality control laboratories. INTRODUCTION: Analytical chemistry is the science 1, 2 of obtaining, processing and communicating information about the composition and structure of matter. It deals with the separation of materials into their components and identifying each one and how much there is of each one. Pharmaceutical analytical chemistry 3 is defined as the branch of practical chemistry which deals with the resolution, separation, identification, determination, and purification of a given sample of a medicine or a pharmaceutical, the detection and estimation of impurities that may be present therein is also included. The use of analytical sciences in the discovery, development, and manufacture of pharmaceuticals is wide-ranging. From the analysis of minute amounts of complex biological materials to the quality control of the final dosage form, the use of analytical technology covers an immense range of techniques and disciplines. 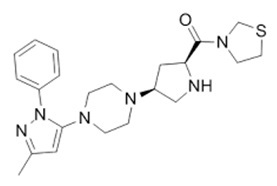 Gliptins are ordinarily known as DPP-IV inhibitors have turned out to be a new class of potential medication applicant and are being sought as a lasting eraser after sort 2 diabetes. Consequently, gliptins have been a focal point of innovative work. Teneligliptin hydrobromide is a dipeptidyl peptidase 4 inhibitors is an uncommonly persuading in chopping down blood glucose levels. Teneligliptin hydrobromide hydrate is a very strong, focused, and durable DPP-4 inhibitor (1, 2, 3, and 4). Glucagon-like peptidase (GLP-1) a peptidase discharged from the GIT because of sustenance consumption upgrades insulin emission and stifles glucagon emission from the pancreas, consequently assuming a critical part in controlling postprandial blood glucose level. The peptide is quickly inactivated by debasement by DPP-4 inhibitor; a chemical generally conveyed in the body. DPP-4 inhibitor debasement, expanding the centralization of dynamic GLP-1 in the blood, which fortifies glucose subordinate insulin discharge and in the meantime, smothers glucagon emission, subsequently displaying glucose bringing down impact. It is successfully used to treat type 2 diabetes mellitus. The most typically detailed unfavorable responses incorporate hypoglycemia, clogging, and feeling of the developed stomach area, stomach distress, sickness, stomach torment, meteorism, stomatitis, skin irritation, rash, pruritus, dermatitis, and disquietude. Composing study reveals RP-UFLC techniques have been represented the assessment of Teneligliptin hydrobromide pure and tablet dosage forms 4, 5, 6, 7. Class: Anti-diabetic drugs known as dipeptidyl peptidase-4 inhibitors gliptins. Chemical (IUPAC) Name: [(2S, 4S) -4 -[4-(5-methyl -2 –phenylpyrazol -3 -yl) piperazin-1-yl] pyrrolidin-2-yl]-(1, 3-thiazolidin-3-yl) methanone. Applications: Used in the treatment of type 2 diabetes mellitus. Metformin hydrochloride is 1, 1-Dimethyl-biguanide hydrochloride  and is used in the treatment of diabetes mellitus. It is completely different from the hypoglycemic sulfonamides  both in its structure and its mode of action. It possibly interferes with mitochondrial respiratory chains and promotes peripheral glucose utilization by enhancing anaerobic glycolysis, or it enhances the binding of insulin to its receptors and potentiates its action. Another explanation is that it suppresses hepatic gluconeogenesis and inhibits intestinal absorption of glucose. It causes little or no hypoglycemia in non-diabetic patients. Class: Metformin is a biguanides anti-hyperglycemic agent. Chemical (IUPAC) Name: 1-carbamimidamido-N, N-dimethylmethanimidamide. Physical State: white crystalline powder. Solubility: Freely soluble in water, methanol. There is no Pharmacopoeia method for simultaneous analysis of Trelagliptin and Metformin. A literature review revealed that chromatographic methods for determination of Trelagliptin and Metformin alone or in a combination of others are available. Literature search also revealed LC methods for simultaneous determination of Trelagliptin and Metformin in bulk forms with different mobile phase composition and using wavelength programming technique 9. The objective of the present study is to develop a simple, accurate, precise and selective reverse phase UFLC method for simultaneous determination of Trelagliptin and Metformin from bulk forms available in the market 8, 9, 10, 11, 12. Preparation of Mobile Phase: To a 1000 ml volumetric flask, add 1.36 g of potassium dihydrogen orthophosphate was taken and diluted with Millipore water and made up to the mark, and the pH was adjusted to 4.6 using orthophosphoric acid. The solution was then filtered through a 0.45µ membrane filter. Preparation of Diluent: The diluent is a mixture of 50 parts of methanol and 50 parts of acetonitrile mixed thoroughly. Preparation of Standard Stock Solution for Teneligliptin: 100 mg of Teneligliptin was taken into 100 ml volumetric flask. To this add 50 ml of diluent and sonicate to dissolve and the volume was made up to the mark with diluent (1000 µg/mL). Pipette 1 ml of the above solution into 10 ml volumetric flask and make up the volume using diluent (100 µg/mL). Preparation of Solutions for Linearity: The solutions for linearity were prepared from the stock solution by diluting with diluent. The concentration ranging from 2, 4, 6, 8, 10 μg/mL were prepared for Teneligliptin. Pipette 0.2, 0.4, 0.6, 0.8, 1.0 ml in 10 ml volumetric flasks and make up the volume using diluent to get the above concentrations. Preparation of Standard Stock Solution for Metformin: 100 mg of Metformin was taken into 100 ml volumetric flask. To this add 50 ml of diluent and sonicate to dissolve and the volume was made up to the mark with diluent (1000 µg/mL). Preparation of Solutions for Linearity: The solutions for linearity were prepared from the stock solution by diluting with diluent. The concentration ranging from 25, 50, 75, 100, 125 μg/mL were prepared for Metformin. Pipette 0.25, 0.50, 0.75, 1.0, and 1.25 in 10 ml volumetric flasks and make up the volume using diluent to get the above concentrations. Linearity and Range: The linearity of an analytical method is its ability to elicit test results that are directly, or by a well-defined mathematical transformation, proportional to the concentration of an analyte in samples within a given range. Procedure: 2-10 µg/mL for Teneligliptin and 25-125 µg/ml for Metformin was prepared. The regression line obtained was linear. From the data obtained, co-relation coefficient, slope, and Y-intercept were calculated. Ideally co-relation coefficient should be not less than 0.99 and statistical Y- should be not more than 2.0. Accuracy: Accuracy is performed in three different levels for Teneligliptin and Metformin using standard addition method at 50%, 100%, and 150%. A known quantity of sample was spiked to the standards. Samples are analyzed in triplicate for each level. From the results, % recovery was calculated. % Recovery at each spike level shall be not less than 98.0 % and not more than 102.0%, % RSD for the duplicate observations shall be not more than 2.0. Overall % RSD for the % Recovery shall be not more than 2.0. Accuracy at 50%: A known amount of standard drug solution of Teneligliptin and Metformin (25µg/mL) from the stock solution was added to the sample solution of a determined concentration (50 μg/mL) the solutions were taken in a 10 ml volumetric flask and the volume was made up with diluent and filtered through 0.2 μ syringe filter. The solutions were injected, analyzed and the recovery was calculated. Accuracy at 100%: A known amount of standard drug solution of Teneligliptin and Metformin (50μg/mL) from the stock solution was added to the sample solution of a determined concentration (50μg/mL). The solutions were taken in a 10 mL volumetric flask, and the volume was made up with diluent and filtered through a 0.2 μ syringe filter. The solutions were injected, analyzed and the recovery was calculated. Accuracy at 150%: A known amount of standard drug solution of Teneligliptin and Metformin (75 μg/mL) from the stock solution was added to the sample solution of a determined concentration (50 μg/mL) the solutions were taken in a 10 ml volumetric flask and the volume was made up with diluent and filtered through 0.2 μ syringe filter. The solutions were injected, analyzed and the recovery was calculated. System Precision: The system precision is checked by injecting 6 sample injections and checking the reproducibility in the retention time and area. The % RSD calculated must be less than 2%. Intraday Precision: The intraday precision is checked by using standard Teneligliptin and Metformin samples to ensure that the analytical system is precise. The retention time and area of three determinations was measured, and RSD was calculated. % RSD of the assay value for three determinations shall not be more than 2.0%. Interday Precision: The interday precision is checked by using the same standard Teneligliptin and Metformin samples analyzed for intraday precision on an alternate day to ensure that the analytical system is precise. The retention time and area of three determinations was measured, and RSD was calculated. % RSD of the assay value for three determinations shall not be more than 2.0%. Procedure: Robustness was done by changing the flow rate (± 0.1 ml), and mobile phase ratio (± 2) and pH (± 0.1). All the system suitability parameters must meet as per the method. The flow rate of the mobile phase was increased to 1.1mL/min and decreased to 0.9 mL/min from 1.0mL/min. The final variation was done by changing the mobile phase (methanol: acetonitrile: potassium dihydrogen orthophosphate) ratio to 38: 18: 44 and 42: 22: 36 from 40: 20: 40. The pH was changed to 4.5 and 4.7 from 4.6. USP tailing factor for Teneligliptin and Metformin peaks should be not more than 2.0. The % relative standard deviation for five replicate injections should not be more than 2%. Procedure: The standard solution (10 μg/mL) was prepared and injected into the UFLC system six times. The tailing factor and theoretical plate count were recorded. Sample Preparation: In case of marketed formulations, twenty tablets were taken, weighed, finely powdered and an accurate amount equivalent to 100 mg of drug powder was transferred into a 100 ml volumetric flask. The stock solution was further diluted with diluents, and it was filtered through a 0.45µ nylon filter to obtain a concentration of 100 µg/mL of Teneligliptin and Metformin, and then the resultant solution is analyzed. System Suitability: System suitability tests are used to verify the reproducibility of the chromatographic system. To ascertain its effectiveness, system suitability tests were carried out on freshly prepared stock solutions. Data Interpretation: It was observed from the data tabulated above that the method complies with system suitability parameters. Hence, it was concluded that the system suitability parameter met the requirement of method validation. Teneligliptin: The linearity of an analytical method is its ability to elicit test results that are directly, or by a well-defined mathematical transformation, proportional to the concentration of an analyte in samples within a given range of 2-10µg/mL. Data Interpretation: The method for Teneligliptin was found to be linear in the concentration range of 2 µg/mL to 10 µg/mL and the correlation coefficient obtained is 0.997. Metformin: The linearity of an analytical method is its ability to elicit test results that are directly, or by a well-defined mathematical transformation, proportional to the concentration of an analyte in samples within a given range of 25-125 µg/mL. Data Interpretation: The method for Metformin was found to be linear in the concentration range of 25 µg/mL to 125 µg/mL and Correlation coefficient obtained is 0.999. Precision: The precision of an analytical method is the degree of agreement among individual test results when the method is applied repeatedly to multiple sampling of a homogeneous sample. System Precision: The system precision was carried out to ensure that the analytical system was working correctly. The system precision is performed by 6 sample injections and checking the reproducibility in the peak area. 1 4 57250 57258 The % RSD for peak area of Teneligliptin from six replicate injections of standard solution should be not more than 2.0. 1 50 2254654 2254762 The % RSD for peak area of Metformin from six replicate injections of standard solution should be not more than 2.0. Data Interpretation: It is observed from the data tabulated above, that the area responses are consistent as evidenced by the values of relative standard deviation. Hence, it can be concluded that the system precision parameter meets the requirement of method validation. Intraday Precision: The precision express reliability of the method, where it defines the extent for the individual test results can agree to repeated test result on the same operating conditions at a short period. Repeatability of the method is accepted. Interday Precision: Repeatability method procedure was repeated on the next day. The method passed the test, as both retention time (<1%) and response peak areas (<2%), % RSD obtained were in the limits. Data Interpretation: From the above results, it was concluded that the method is precise. Limit of Detection and Limit of Quantitation: Limit of detection is the lowest amount of analyte in a sample that can be detected, but not necessarily quantitated, under the stated experimental conditions. Limit of quantitation is the lowest amount of analyte in an example that can be quantitated with acceptable accuracy and precision, under the stated experimental conditions. Limit of detection (LOD) and Limit of quantitation (LOQ) was calculated based on residual standard deviation of response and slope. Accuracy: The accuracy of an analytical method is the closeness of test results obtained by that method to the true value (Standard value). Robustness: The robustness of an analytical procedure is a measure of its capacity to remain unaffected by small, but deliberate variations in method parameters and provides an indication of its reliability during normal usage 13-26.
recovery Formulation concentration Spiked concentration Total concentration Conc. CONCLUSION: A novel, simple, rapid and cost-effective RP-UFLC method was successfully developed for simultaneous estimation of Teneligliptin and Metformin present in the formulation. The proposed method was optimized and validated for the various experimental parameters. Influence of pH of the mobile phase, mobile phase ratio and flow rate on the analysis of Teneligliptin and Metformin was evaluated. All the analytes were well resolved and separated in less than 10 min. The developed method can be conveniently used by quality control outfits to determine the contents of Teneligliptin and Metformin simultaneously in routine and stability samples. This method could be used for the analysis of the drugs in pharmaceutical preparations and routine laboratory analysis. Overall, the proposed method provides high throughput for determination of Teneligliptin and Metformin with excellent accuracy, precision, selectivity, and reproducibility. ACKNOWLEDGEMENT: The authors express their sincere thanks to the Principal, JSS College of Pharmacy, and Mysuru for providing the necessary facilities to carry out the research work. Laitinen HA: History of analytical chemistry in the U.S.A. Talanta 1989; 36(1-2): 1-9. Doi: 10.1016/0039-9140(89) 80077-3. PMID 18964671. Arikawa and Yoshiko: Basic Education in Analytical Chemistry" (pdf). Analytical Sciences. The Japan Society for Analytical Chemistry. 17 (Supplement): i571–i573. Retrieved 10 January 2014.Snyder LR, Kirkland JJ. HPLC Method development John Wiley &. Sons, New York Practical JL 1997; 15(2): 196-198. Snyder LR and Kirkland JJ: HPLC method development John Wiley & Sons, New York Practical JL; 1997; 15(2): 196-198. Diabetes Blue Circle Symbol: International Diabetes Federation. 17 March 2006. Archived from the original on 5 August 2007. Jeffery GH, Bassett J, Mendham J and Denny RC: Vogel’s textbook of quantitative chemical analysis, Longman Scientific & Technical, Edition 5th. Kaushal C and Srivastava B: A process of method development: A chromatographic approach. 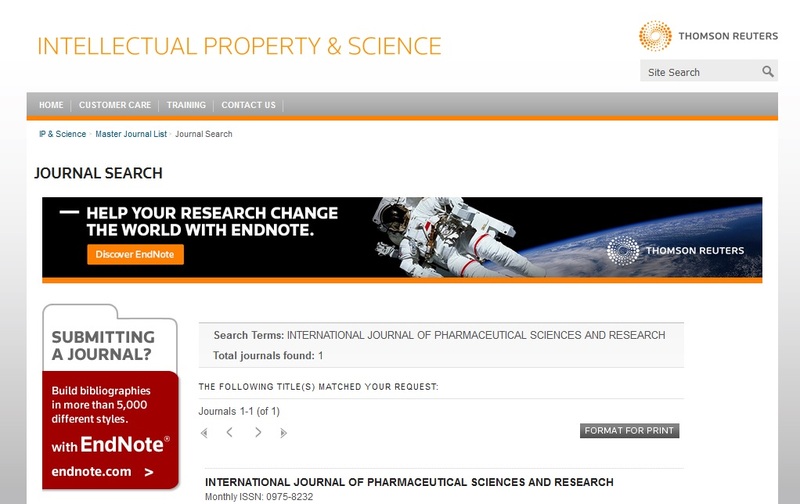 Journal of Chem Pharma Research 2010; 2(2): 519-545. Patel RM, Patel PM and Patel NM: Stability indicating HPLC method development - A reviews. Int Res J Pharmacy 2011; 2(5): 79-87. Wagaw S, Tedrow J, Grieme T, Bavda L, Wang W and Viswanath S: HPLC Guide; Departments R450, R452, R45R. 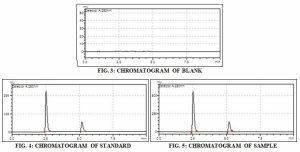 Mayer ML: Selecting filters for chromatographic applications. LC-GC, 1996; 14(10): 902-905. Marchand DH, Creos K, Dolan JW, Synder LR, Henry RA, Kallury KM R and Waite S: Column selectivity in Reversed-Phase Liquid Chromatography. 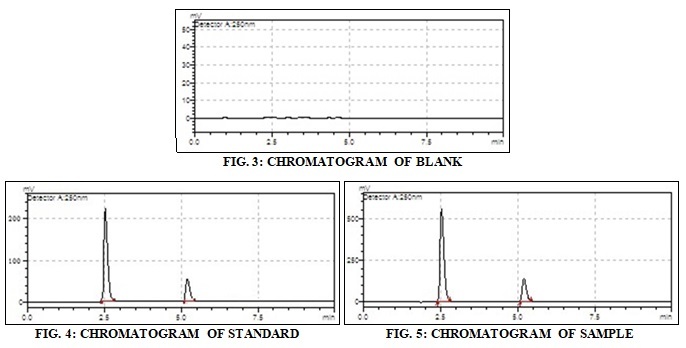 Journal of Chromatography A 2005; 1062: 65-78. Dean JA: Analytical Chemistry Handbook, Mc Graw-Hill, New York 1995. Merrill JC: Avoiding problems in HPLC through filtration. Am Lab 1987; 19: 74-81. Ramana RG, Murthy SN and Khadgapathi P: Gas Chromatography to pharmaceutical analysis. Eastern Pharmacist 1987; 30(353): 35.
International Conference on Harmonization (ICH) of technical requirements in the registration of pharmaceuticals for human use. Validation of Analytical procedures: definitions and terminology. ICH - Q2A, (CPMP/ ICH/ 381/ 95). Geneva: 1995. Internet: http://www.fda.gov/cder/guidance/ichq2a.pdf. Lalit VS, Bhagwat NP, Sharad VU, Pradeepkumar VW and Laxman HS: Bioanalytical method validation and its pharmaceutical application- A review. Pharmaceutica Analytica Acta 2004; 5(3): 1-7. Hong S, Park CY, Han KA, Chung CH, Ku BJ, Jang HC, Ahn CW, Lee MK, Moon MK, Son HS, Lee CB, Cho YW and Park SW: Efficacy and safety of Teneligliptin, a dipeptidyl peptidase-4 inhibitor, combined with Metformin in Korean patients with type 2 diabetes mellitus: a 16-week, randomized, double-blind, placebo-controlled phase III trial. Published 2016. Investigation of Potential Pharmacokinetic Interactions between Teneligliptin and Metformin in Steady-state Conditions in Healthy Adults. Therapeutics Volume 2015, 2007-2018. Luhar SV, Pandya KR, Jani GK, Sachin B and Narkhed S: Simultaneous estimation of Teneligliptin hydrobromide hydrate and its degradation product by RP-HPLC J Pharm Sci Bioscientific Res 2016; 6: 254-261. Chitlange SS, Rawat DG and Chandani S: Estimation of anti-diabetic Teneligliptin hydrobromide hydrate by RP-HPLC and derivative spectroscopic method. IAJPR 2016; 6(7): 6144-6153. Kumar TNVG, Vidyadhara S, Narkhede NA, Shilpa YS and Lakshmi MR: Method development, validation and stability studies of Teneligliptin by RP-HPLC and identification of degradation products by UPLC tandem mass spectroscopy. Journal of Analytical Science and Technology 7-18. Sen AK, Hinsu DN, Sen DB, Zanwar AS, Maheshwari RA and Chandrakar VR: Analytical method development and validation for simultaneous estimation of Teneligliptin hydrobromide hydrate and Metformin hydrochloride from its pharmaceutical dosage form by three different UV spectrophotometric methods. Journal of Applied Pharmaceutical Science 2016; 6(09): 157-165. Reddy BR, Rao NV and Saraswathi K: Stability indicating RP-HPLC method for development and validation of Teneligliptin hydrobromide hydrate in pure and tablet dosage forms. 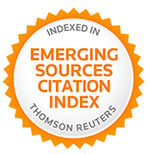 IJPR Online 2014; 310-318. Shinde VC, Aher KB, Bhavar GB, Kakad SJ and Chaudhari SR: Development and validation of UV spectrophotometric method and High-Performance Thin Layer Chromatographic (HPTLC) method for estimation of Teneligliptin hydrobromide in the pharmaceutical Der Pharmacia Lettre 2016; 8(8): 291-301. Karimulla SK, Vasanth PM Ramesh T and Ramesh M: Method development and validation of Sitagliptin and Metformin using Reverse Phase HPLC method in bulk and tablet dosage form. Der Pharma Letter 2013; 5(5): 168-174. Maruthi R, Chandan RS and Raikar P: Simultaneous estimation and analytical method development, validation for the Teneligliptin and Metformin by RP-UFLC. Int J Pharm Sci & Res 2019; 10(4): 1811-19. doi: 10.13040/IJPSR.0975-8232.10(4).1811-19.